Portrayers: Dack Rambo, March 13, 1990 - September 18, 1991. Mark Pinter, September 27, 1991 - March 30, 1999; June 25, 1999. Arrival: Came to receive treatment at Bay City General. Introduction Scenes: (Dack Rambo) The hospital, arriving in a wheelchair, "All right, hold it, hold it, hold it. Now, is this it?" (Mark Pinter) Tops, to Marley Hudson after stepping off the elevator, "Hi, Marley." 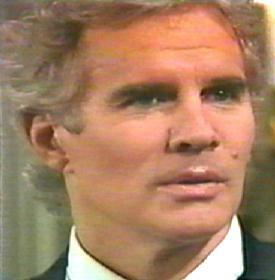 Exit Scenes: (Dack Rambo) A hotel room, to Spencer Harrison, "I never doubted that you love me." (Mark Pinter, 1999b) Sipping an exotic drink in Tanquir. Birthday: January 10, 1951 (formerly in May). Grant was engaged to be married to society gal Ann when he came to Bay City in 1990. Ann was the perfect politician's wife, but in this time in his life, Grant yearned for a more exciting life, so he dumped Ann. When Grant first came to Bay City, he was suffering from the potagia (phonetic spelling) virus, a fatal disease. By the end of the year he had been completely cured. His disease was referred to in 1994. In 1991 Grant was shot by Carl Hutchins. Carl was seeking revenge on him because he had just discovered that Grant had once used his political power to help have Carl put in prison in 1987. In 1995 Grant shot himself in the stomach. He spent a brief time comatose and proceeded to heal quite rapidly. Grant was hit by a car in 1998 and lost his spleen as a result. Grant was presumed to have been suffocated to death by Tito Banacek on March 25, 1999. In 1993, Grant shot Vicky Hudson in the back. This was an accident, though, as Grant was aiming for Vicky's kidnapper at the time, Ian Rain. Vicky decided not to press charges against Grant, and the general public has no knowledge of the incident. Every so often when Vicky needs some leverage over Grant, she will threaten to go public. In 1995, Grant shot himself and framed Vicky for the crime so that she would go to jail, leaving him to raise his son Kirkland on his own. Ryan discovered that there were powder burns on Grant's handkerchief and deduced that he had shot himself. 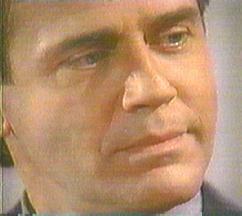 He then tricked Grant to confessing on the witness stand in court during Vicky's trial. Once again, Vicky decided not to press charges, for Kirkland's sake. In October 1995 Grant and shot and killed his brother Ryan. He feared that Ryan was going to kill Justine and he would then not be able to find his son. When he was finally arrested, he admitted that he shot Ryan purposely because he wanted Ryan to stop interfering in his life. He was jailed from February to April 1996. The governor pardoned him after Grant saved his daughter's life during a prison riot. In December 1995, Grant made the leap to cold-blooded pre-meditated murder with his bare hands. He snuck into Carl Hutchins' hospital room and injected him with poison. Carl survived, and the incident has been completely forgotten by all concerned. In 1997, Grant had a bomb detonate to kill Vicky. She escaped with a serious head injury. Grant was brought to trial, but was found innocent due to a lack of evidence. To usher in 1998, Grant burned down the Carlino home on New Year's Eve, albeit accidentally. The police found an audio tape incriminating him, but Cindy Brooke succeeded in destroying it. When Grant came to Bay City, he was a United States Congressman, as well as Chairman of the House Committee on Crime and Racketeering. In late 1991, he won his seat in the senate and became a full-fledged senator. He spent the early 1990's strengthening his political image so that one day he could run for presidency. In 1995 he resigned from the senate in disgrace after he admitted to framing his ex-wife for attempted murder. In October of 1997, Grant became mayor of Bay City. Grant briefly ran the Harbor Club, which Spencer gave to him when he got out of jail. Grant went to law school and holds a law degree. In 1996 he applied to the bar for readmittance and was accepted thanks to his recent slew of "good" deeds.